Choose the Right Rental Partner by Comparing Net Promoter Scores. Deciding on a rental company is difficult. You want a place that has reliable equipment, but also knows how to serve their customers. That’s where Net Promoter Score (NPS) comes in. NPS helps determine which company consistently meets customer needs and has the most loyalty. Rent with confidence. Read our white paper now to learn how NPS can help you. 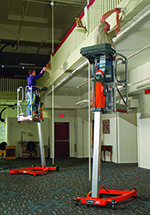 Ergonomic XZ Series hydraulic floor-level lifts from Presto Lifts Inc. can handle loads of up to 6,000 pounds. They’re useful in all of the usual lift-table applications (assembly, maintenance, palletizing, etc.) and can be easily loaded/unloaded with an ordinary hand pallet truck. The platform of an XZ lift lowers to floor level, leaving the pan-style platform no more than half an inch above the floor for easy roll on/roll off. Accessible from all four sides, XZ lifts rise to a height of just over 35 inches to minimize bending and lifting. A bright, yellow 6-inch flexible strip is mounted to the lip of the platform to protect against toe injuries. Safety is your top priority, which means you need the right equipment and tools at your facility. 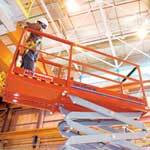 The LiftPod® from JLG is a personal portable lift that can be used as a ladder alternative, allowing your personnel to work more safely, with both hands, from a secure platform. 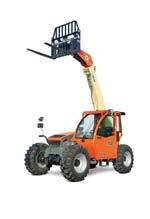 Available in two models, the FS60 and FS80, the LiftPod provides up to 12 feet and 14 feet of lift height. 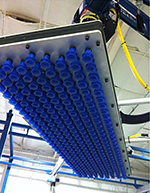 Vi-Cas Manufacturing offers a range of vacuum cups for ergonomic lifters of all types and sizes. Round, rectangular or oval cups are available from stock for immediate shipment for a variety of lift manufacturers including Cynergy Ergonomics, Indutrol and others. The company offers various sizes and types of cups to fit virtually any type of vacuum equipment used for lifting, manipulating or pick and place applications. Accessories such as vacuum valves, swivel joints and level compensators can increase the productivity and energy efficiency of lifting systems. The patent-pending SafePro Power Hatch Lift is designed to safely lock or unlock and open or close a roof hatch lid automatically with the push of a button on its wireless remote, thereby eliminating the risk of falling or serious injury. 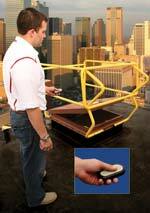 The device will automatically self-close so fall protection is maintained. With the new JLG® 619A and 723A models, JLG Industries Inc. has expanded its offering of compact telehandlers that are designed for use in landscaping, construction, and agricultural. The 619A provides nearly 6,000 pounds of capacity at a height of 19 feet, while the 723A allows nearly 7,000 pounds at 23 feet. The new Saflok Max™ all-purpose connector from Capital Safety is designed to reduce equipment costs by giving the user more tie-off options without the need for additional anchorage connectors. Its new snap hook features a rectangular body and three-inch gate opening that provides a direct connection to a variety of larger anchor points. Hyster Co.'s newest line of electric lift trucks, the E45-70XN, is geared toward operator ease. The ergonomically improved compartment has a relocated dash display for enhanced visibility and pallet control, and a redesigned hood provides maximum battery service access to reduce downtime.